In our local congregation we are currently engaged in a study of Exodus. The emphasis of the book is that of God’s covenant faithfulness. ‘El Shaddai, God Almighty, who promised Abraham, Isaac and Jacob that He would make of them a great nation, and give unto them the land of Canaan, now more fully reveals Himself as YHVH, Yahweh, Jehovah. He would redeem His covenant people. This He did “with outstretched hand,” demonstrating to all the Egyptians, as well as to Israel that He was indeed the LORD. Israel was a numerous people when the book of Exodus opens, and through His great power God brought them to Mt. Sinai, where they would be for about eleven months. During that time God gave the 10 Commandments as well as the accompanying laws and ordinances, the tabernacle was built, and the Aaronic priesthood was consecrated. The events of Scripture do not happen in a vacuum; we always do well to consider the historical and geographical setting. The setting for Exodus 1-13 is Egypt. When you think of Egypt, you likely think of the pyramids. Sometimes people erroneously believe that the Israelites were used as forced labor to construct the pyramids. Actually the pyramids were built before Abraham! The Israelites built storage cities (Ex. 1:11, NASB). Step Pyramid at Saqqara, Egypt. Photo by Leon Mauldin. 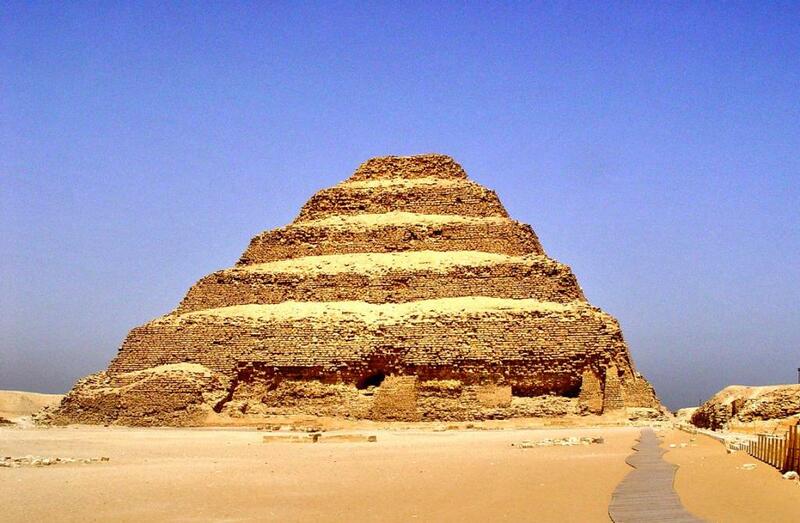 Our photo shows the Step Pyramid at Saqqara, built during the 3rd Dynasty by Pharaoh Djoser. This pyramid is actually a mastaba (Arabic for “bench”), meaning a structure in the “form of a flat-roofed, rectangular structure with outward sloping sides.” The Step Pyramid consists of six distinct steps. This is the oldest of the pyramids. The burial chambers were underground. Excavation was done by Jean-Phillipe Lauer. You are currently browsing the Leon's Message Board blog archives for the day Friday, May 13th, 2011.